Classes have eight children per morning with two educators. Infants must be four months of age by the first day of school. Infants from 4 months to approximately eleven months of age may attend one or two mornings a week, selecting from Tuesday and Thursday. Infants from about twelve to sixteen months of age attend two mornings a week, selecting from Monday, Wednesday, and Friday. 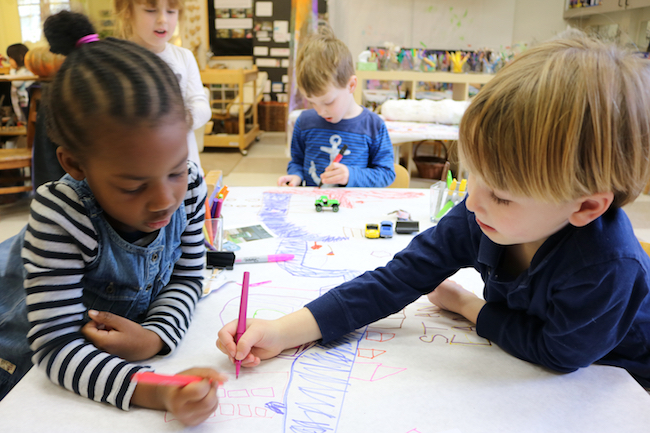 Saint Anne’s Episcopal Church members have first priority enrollment in the infant classes, followed by siblings of currently enrolled children. Classes have ten children per morning with two educators. Children who are approximately 17 to 23 months of age attend two mornings a week, selecting from Monday, Wednesday, and Friday. Three classes meet on Tuesdays and Thursdays. Each class has approximately twelve children and two educators. Children who are two by September 1 are generally age-appropriate for these classes. Two classes meeting Monday, Wednesday, and Friday. Each class has approximately 16 children with two educators. 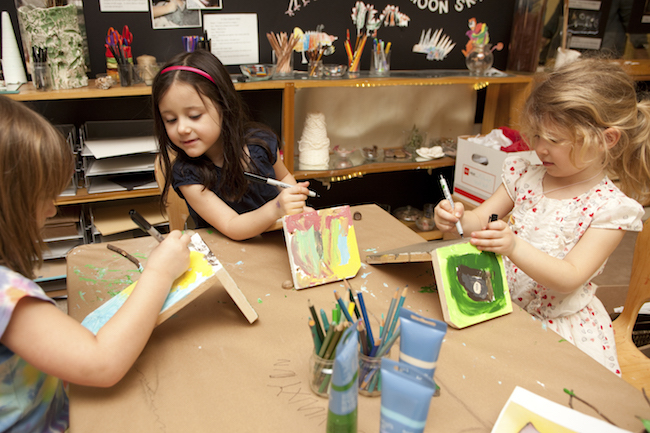 Children who are three by September 1 are generally age-appropriate for these classes. One class of older three year olds/young fours meets Mondays through Fridays. Approximately 16 children with two educators. Older threes will be given priority for this class. There are approximately 8 three-year-olds and 8 four-year-olds with two educators. This is a looping class in which children who enter as three-year-olds stay in this class for two years, through their Pre-K year. Children who are three by September 1 are generally age-appropriate for this class. These children will loop up, becoming the four-year-olds the following year, with eight new three-year-olds joining them. 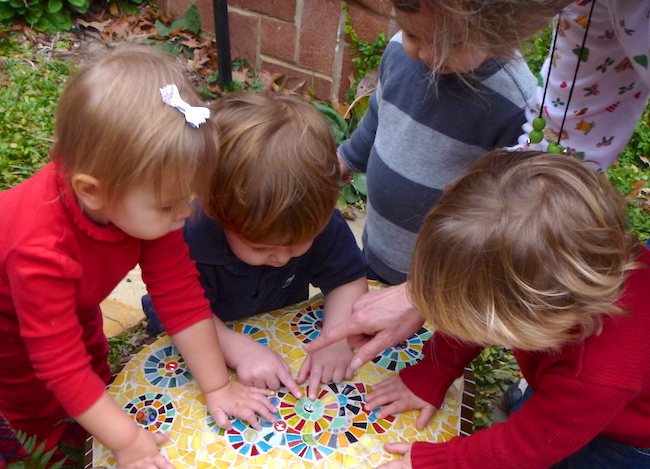 Rising three-year-olds enrolled at Saint Anne’s have priority for this class. If spaces remain, the class is filled from the wait list. Three classes meet Monday through Friday. Children who are four by September 1 are generally age-appropriate for these classes. One class meets Monday through Friday. Approximate class size is 18 children with two educators. Children in our Pre-K classes who have summer birthdays or who are recommended by our faculty are eligible for our Kindergarten class. If spaces remain, the class is filled from the wait list.